Online reviews can play a big role in influencing people’s purchase decisions, but what makes a review most persuasive one way or the other? Certainly bad reviews can dissuade customers, but it turns out that some good reviews can too. Our research on persuasion and marketing is the first to find that a moderately positive review can be more persuasive than an extremely positive review. In research to be published by the Journal of Consumer Research in October 2018, we found that a moderately positive review is even more persuasive when the default review selection is extremely positive. This is because reviews that deviate from a default review selection are perceived to be more thoughtful—and thus more accurate—than reviews that conform to the default. We first tested this phenomenon by showing participants a consumer review for a particular brand of granola bar. The review platform preselected a 10-star rating for the granola bars, but previous customers who wished to rate the granola bar as less than ten stars could change the rating. We had participants read a single review from a previous customer and we varied whether that review gave 10 stars (the preselected default) or eight stars (a lower but still positive rating that deviated from the default). When we offered participants the choice between a free granola bar or a commensurate amount of money, we found that people who viewed the eight-star review were more likely to choose the granola bar than were people who viewed the 10-star review. We also found that the moderately positive reviews were not just seen as more persuasive, but as more helpful. In another study, we analyzed a retail platform that asks customers to rate products on a five star scale, and on which a five star rating is the most frequent (and thus is the perceived default). The platform allows consumers to indicate if they find a particular review to be helpful. Because previous research suggests that consumers rate reviews as more helpful when those reviews are more persuasive, we analyzed “helpful” votes as a proxy for the review’s persuasiveness. These data revealed that consumers rated deviatory (non-five-star) reviews as more helpful than non-deviatory (five-star) reviews. Again, less positive reviews appear to be more persuasive than more positive reviews in the context of an extremely positive default. In a follow up study we found that extreme reviews regain their persuasiveness if they are long. We presented consumers with real consumer reviews for pens (sourced from Amazon.com), and varied the reviews’ star ratings so that some deviated from a five-star default. In the first part of this study, consumers viewed brief reviews that included either a four-star or a five-star rating in the context of a 5-star default. Just as in our earlier studies, those consumers were more likely to purchase the pen when they viewed a four-star review. But when we gave them longer reviews with either four- or five-star ratings, the review’s deviatory status no longer impacted consumers’ desire to purchase the pen. Consumers are largely unaware of how influenced they can be by moderate reviews. In another study, we found that when consumers want to persuade another shopper to make a similar purchase, they will often leave the highest possible rating even when they know that this highest rating is the default. In their attempts to increase their own persuasive influence, then, consumers may inadvertently decrease it by avoiding moderate endorsements, even when they themselves find such endorsements to be more persuasive. The takeaway for marketers is two-fold. First, when consumers perceive that a review platform’s default rating is extremely positive, publicizing at least some moderately rather than extremely positive reviews could increase sales. 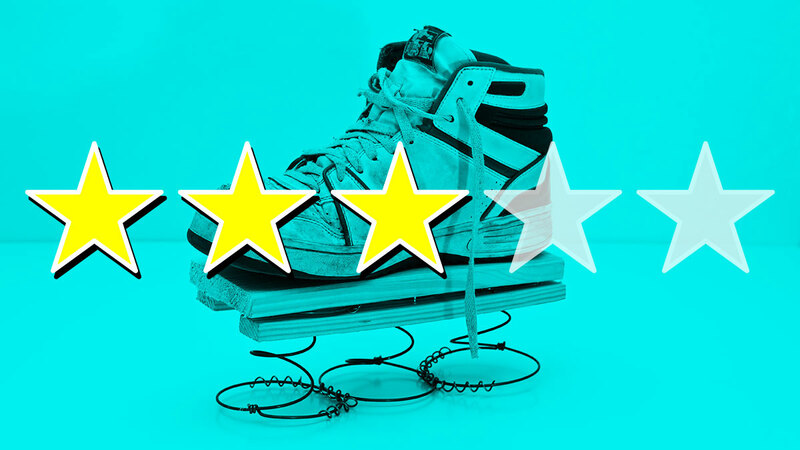 Second, if a review system has a five-star default, firms that receive moderately positive reviews on that platform should highlight that the default is extremely positive. Doing so could increase the perception of a moderately positive review’s accuracy, and as a result heighten sales. For consumers making recommendations, our advice is to give a review that is long, and to avoid extreme ratings unless they are truly deserved. Those you are hoping to persuade will find your recommendation more thoughtful and persuasive. Next articleComo funciona uma coworking?